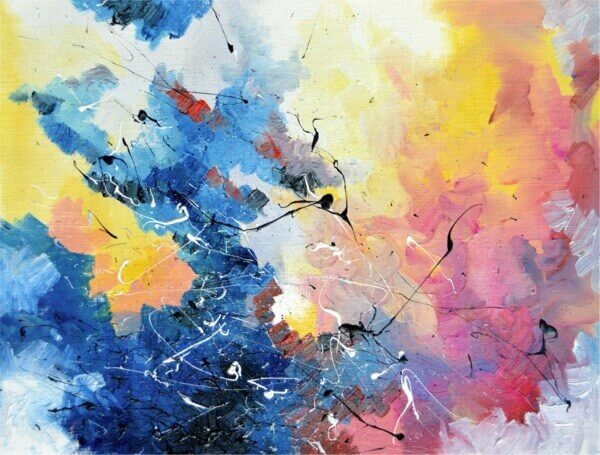 Musical Synesthesia - Paint What You Hear/See! 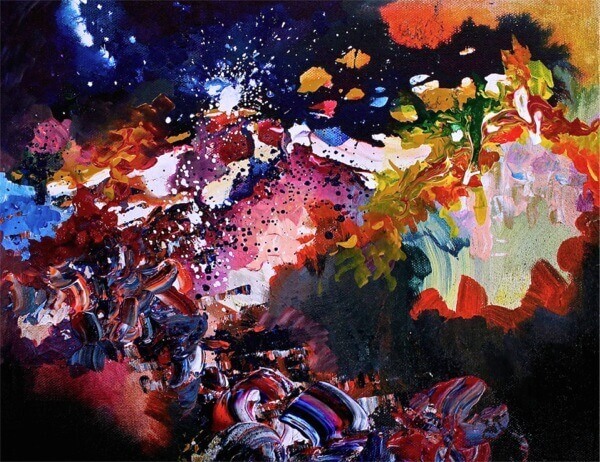 I once learned of a condition called synesthesia (by indulging in a large dose of psychedelics, admittedly). That term is a psychology label for the experience of "a crossing of the senses." It happens differently in different people, but the main idea is that you can taste what you see, hear what you feel, see what you hear, etc. It's like your brain totally gets its wires crossed. This condition is rare only in that most people haven't heard of it or realize that their experience with synesthesia isn't "normal." A side note example is that I once dated a girl who didn't realize that lucid dreaming was a skill to be developed and treasured. She just naturally did it every night and never realized that everyone else wishes they could do it until I mentioned my attempts at it. It's the things we take for granted! 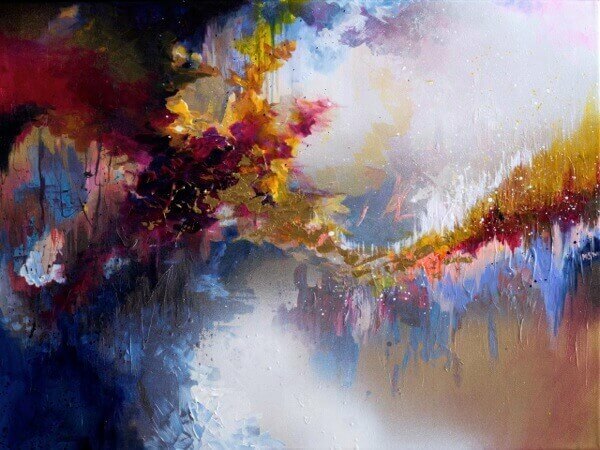 In the case of Melissa S. McCracken, she experiences mental visuals of various colors, textures, and movement based on all sensory input. 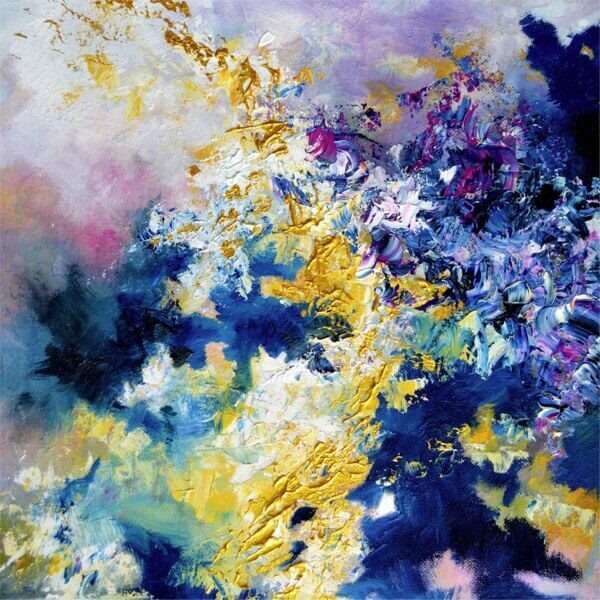 Of interest in our case is that she "sees" music, also known as musical synesthesia. It's the same with some of these math geniuses that can do complex calculations in their heads. They don't do the calculations actively. These shapes just morph and twist into the final resulting shape which they can then read back into the numerical answer. Melissa sees the shape of music. Melissa has decided to harness this gift by producing paintings of the songs that she enjoys. The best part is she has an absolutely fantastic taste in music. Imagine if this was a bunch of Katy Perry and N'Sync songs instead. 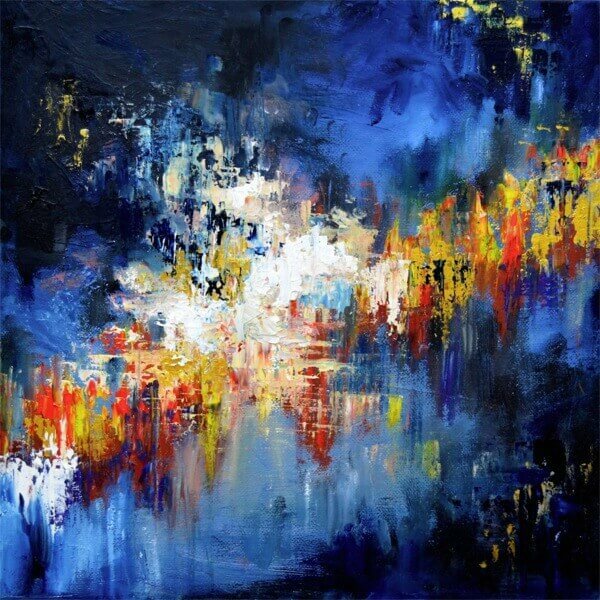 Melissa has kindly shared many examples of her paintings online, some of which I'll share with you here. To see more, please visit her website and show her your support. She deserves it. I look at the Karma Police painting and I "get it." I don't see those colors or that movement in my visual field, but it feels cosmic and represents the concepts that the song is attempting to get across. I'm wondering if there's a relation to frequency and volume. Do louder sounds appear as bigger shapes? Do higher frequency shapes appear higher up or further to the right, while bass is further down or to the left? Does frequency affect the color of each shape? What about panning across the stereo field? That's how it worked for me those times when I really pushed the limit with things I shouldn't have been ingesting. I really should ask her, though. 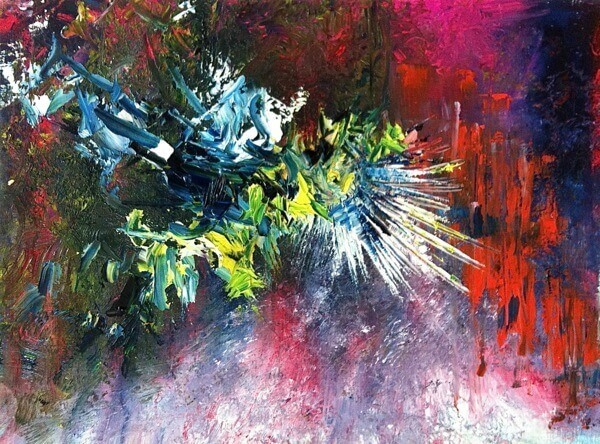 Go to Melissa's site and say hi, buy a print, or bribe her to paint your own favorite song! She probably has a way to be commissioned for a painting if you hunt around or send her a message.